Just to be clear, when you refer to Fishburn’s work, you mean Lawrence Fishburn? Another hint we’re all living in the np.matrix! Thanks, this looks very relevant, and I haven’t read much on the Jaynesian approach yet. On the matter of -additivity, a quick skim though the paper leads me to think that Terenin and Draper consider by default a -algebra (bottom of p6). I haven’t come to terms with that yet, although it is probably the only thing we can do for now. The Stone extension theorem they mention can actually be used to extend a Boolean algebra to a -algebra, as done by Villegas, but this has to be in an extended state space (the so-called Stone space of the original state space), and it looks a rather complicated object. Thanks for the reply. It’s true that dependence on the dominating measure and/or particular versions of the densities involved is also disturbing, as discussed in your post and its comments. I wonder whether there could be a more general yet still practical mathematical framework than probability spaces that would avoid specifying a dominating measure or a -algebra. A bit like Le Cam using functional analysis to get rid of sample spaces and -algebras in classical statistics, but placing implementability high on the list of requirements (I don’t know much about Le Cam theory, but this note of David Pollard makes me want to learn more). About the third paragraph, which set or notion would you change? I have tried to follow Chapter 5 of Parmigiani and Inoue (2009), although I’ve made the set to be a product of the set where the parameter lives and the space where the data live. This way, I can condition on data living in a subset using the sure-thing principle (Section 5.2.2), and obtain posterior expected utility. I think that Parmigiani and Inoue do this implicitly in Section 7.2 when they say that posterior expected utility is directly backed up by Savage’s axioms, but by then they justify the statement using a Lebesgue formalism, which means they have tacitly switched to the “generalized beliefs” of Bernardo and Smith. So I tried to introduce data earlier. Nice and enlightening post ! 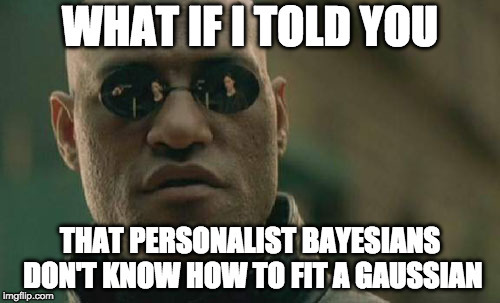 So what are we left with to convince someone to be Bayesian ? As you pointed out to me, De Finetti’s representation theorem for exchangeable random variables is not a decisive argument either (although dismissing it is debatable too). My feeling is that the “proof of the pudding” is perhaps quite enough. After all, a theory or practice remains valid unless proven otherwise or subsumed by a finer model of the world. Thanks. 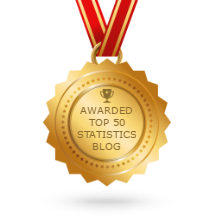 Also thanks because our discussions on Bayes and DS are at the origin of this post. I think there are still many reasons to be Bayesian. I’m just saying that _in its current state_, the axiomatic justification falls short of fully justifying what is done in practice. But there are many reasonable thought processes that still lead you to Bayes. For instance, you can follow Bernardo and Smith and argue that the gap between Savage’s axioms and subjective expected utility with Lebesgue integrals is not that big, or you can follow Xi’an’s book in reversing the argument: first define posterior expected utility, then check that it has many desirable properties (good frequentist properties, satisfies the likelihood principle, unifying framework for all statistical questions, etc.). Plus, as you say, the fact that it can be implemented and has led to successful applications. Overall, I see Bayesian statistics as the best trade-off so far in terms of conceptual simplicity / coverage of statistical questions / axiomatic justification / good theoretical properties / implementability. However, I agree that depending on how you weight these five items, current Bayesian practice may not be the optimal answer.